Public flamboyance, and the way hypnosis is portrayed by “professionals” in the stage hypnosis, entertainment, and media industries has contributed to the understandable misconceptions with and about hypnosis. Throughout the rest of this page allow the main incorrect beliefs about hypnosis to be completely nullified so any of your fears regarding the subject will also be completely diluted. This is a very common misconception about hypnosis, because in reality, you really never lose your awareness or fall asleep in hypnosis. It’s actually quite the opposite; you become more aware and focused than usual which is indeed what allows the increased reaction to suggestions given during the session. 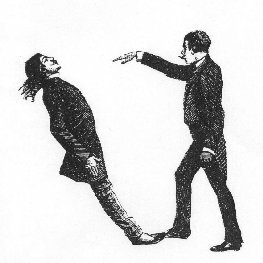 The supposed creator of modern hypnotism, James Braid, chose the term “hypnosis” after the Greek word hypnos for “sleep.” However, after later realizing that hypnotism was not based upon being unconscious or sleeping, he tried to use the term “monoideism” to convey hypnosis as a state of magnified concentration on one (mono-) idea (-ideism), but the term “hypnosis” had already stuck. The sensations that take place during hypnosis have a large range and everyone can have different experiences. It’s most likely you will enjoy a feeling of deep calmness and relaxation. Again the case is quite the contrary as was stated above, and you’ll be aware of exactly what is going on before during and after being hypnotized. Of course amnesia is a possible, but is only suggested for therapeutic purposes where a traumatic event has taken place and it is not in the best interest of the client to keep said memory. The direct request of such a therapy must be portrayed for the therapist to go through with it and is still quite a simple and relaxing process. The process of hypnosis can indeed produce a dreamy feeling as you may feel yourself drifting between sleep and consciousness, because hypnosis does take place at the state in between those two states. It is also normal for your mind to wander at times, not always focused on what the hypnotist is saying, and this is completely natural, because it is just the same as the state you are in when you dream at night. After the session it’s probable that that you have a fading memory of the session because your focus was somewhere else so don’t worry. You’ll be aware of everything while hypnotized and afterward, unless specific amnesia is suggested for a therapeutic purpose. It’s possible that you’ll have a "dreamy" feeling, or feel as if you are drifting back and forth between sleep and wakefulness throughout hypnosis. It's normal for your minder to wander at times. After hypnosis it’s likely that you’ll probably have a fading memory of the session, similar to emerging from a deep daydream or a nap. Click Here For MP3s Now! No, this commonly held, incorrect idea has been created by stage hypnotists who are very skilled at creating the illusion that they have a magically mysterious power over other people. There is, indeed, no such power or ability. Hypnosis is a state of consent and teamwork, in which the client has all the control and can snap out of the state at any time they choose. “The only control the hypnotist has over you is the control you allow him to have.” The best way to see it is that the hypnotist is a simple guide to help you acquire that state of relaxation through techniques he or she knows that were created to help stimulate and enhance your state of mental concentration. It’s not about whether anyone can be hypnotized, but whether or not you allow yourself to be guided into hypnosis. Literally everyone can and has been in hypnosis, it’s process that you go through when waking up and a process you go through when going to sleep. Also usually when watching Television people will go into a “tranced-out” state. If you have ever noticed yourself crying during a sad movie, or laughing in a while watching a sitcom it was because you got so into the story that it became real for you and thus you were hypnotized, this is a simple example of being in an altered state. The level of your physical relaxation is not the only thing that impacts your ability to go into hypnosis. Hypnosis is truly defined as an “altered” state, so literally being in any state that is different from your normal state of consciousness allows you to be more receptive to suggestion. This is simply impossible due to the fact that trance is a state between states, so eventually you will either fall asleep or just wake up, those are the only two ways you can go. Both options are usually quite refreshing as well. Click Here Now For MP3s!